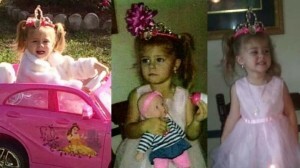 A statewide AMBER ALERT has been issued in North Carolina for 3 year old Mariah Woods. 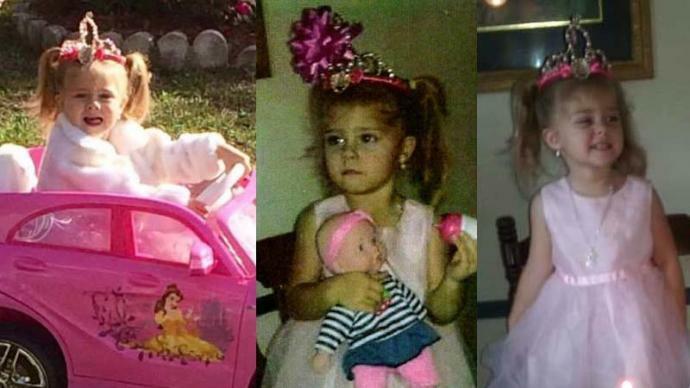 According to reports, Mariah Woods was last seen Sunday night, 11/26/17, around 11:00 p.m. when her mother checked on her in their trailer on Dawson Cabin Road in Onslow County, NC. Mariah’s mother, Kristy Woods, says they discovered her daughter missing around 6:30 a.m. Monday from her Onslow County home on Dawson Cabin Road around 6:30 a.m. Monday. That alert states that the toddler is a victim of a child abduction; however, the abductor is unknown. Anyone with information on Woods’s whereabouts is encouraged to call the Onslow County Sheriff’s Office immediately at (910) 455-3113, or to call 911. Authorities are searching for a three-year-old girl who has last seen Sunday evening after being put to bed by her mother. Onslow County Sheriff Hans Miller says an Amber Alert has been issued for Mariah Woods. That alert says the toddler is a victim of a child abduction, and that the abductor is unknown. The child is white, approximately 2’9″ tall and weighs 30 pounds. She has blond hair and blue eyes. Monday afternoon, FBI agents were in the neighborhood assisting with the child’s disappearance. Melissa Hunter, Mariah’s grandmother, says the mother put Mariah to bed at their Dawson Cabin Road home and she checked on her about 9 or 10 p.m. Hunter says this morning the mother went to check on her and Mariah was gone. Hunter says the toddler normally wears orthopedic braces on both feet and when she is without them she doesn’t walk straight. UPDATE I: Search Continues for Missing Toddler. Kristy Woods is overwhelmed with emotion as search crews desperately look for her little princess who is missing. Mariah has long brown hair and blue eyes. She was last seen Sunday night on Dawson Cabin Road in Jacksonville, N.C. The mom says her boyfriend saw the toddler around midnight after he told her to go to bed. Monday morning Mariah was missing. Since then K9 units are sniffing for clues around the trailer where she was last seen. Multiple agencies are helping a mother desperate to find her daughter and to bring her home. UPDATE II: FBI involved after Amber Alert issued for missing NC 3-year-old girl. The FBI is now involved in the search for a missing 3-year-old girl who disappeared in the middle of the night in Onslow County. An Amber Alert was issued Monday for Mariah Kay Wood, who was last seen Sunday night when her mother put her to bed at their home on Dawson Cabin Road in Jacksonville. Acting on a tip received by the Tennessee Bureau of Investigation late last night, authorities in Siskiyou County, California have rescued Elizabeth Thomas and arrested Tad Cummins, after locating the pair at a rural cabin in Cecilville early this morning. Thomas, 15, was the subject of a Tennessee AMBER Alert issued on March 14th, after having been kidnapped a day earlier by Tad Cummins, a former teacher at her school in Maury County, Tennessee. On March 17th, the TBI added the 50-year-old to the state’s ‘Top 10 Most Wanted’ list. This morning, authorities from Siskiyou County located the Nissan Rogue in which the pair were traveling and later located the pair. Cummins surrendered without incident. Thomas was subsequently recovered by law enforcement officers. At the time of this release, efforts to reunite her with her family remained ongoing. According to the Siskiyou County Sheriff’s Office, a Special Response Team (SRT) responded to the scene where the car was reported found and established a perimeter around the cabin believed to be occupied by Cummins and Thomas. A man who became friends with the two helped the SRT members at the scene. Deputies waited outside in the cold for hours for the two to exit the cabin. The Sheriff’s Office used snipers positioned nearby to protect the tactical team that was dispatched to make the arrest. Two loaded handguns were recovered in the cabin along with other personal items belonging to both Cummins and Thomas. The sheriff’s office said they were found near the Shasta Trinity National Forest. The distance from Maury County, Tennessee, to Siskiyou County, California, is nearly 2,450.9 miles – around a 36-hour drive. “It’s interesting Mr. Cummins made a spontaneous statement at the time that we took him down, ‘I’m glad this over,” Sgt. Mike Gilley of the Siskiyou County Sheriff’s Office said. The Siskiyou County Sheriff’s Office said the cabin the two had been staying in was a one-room unit containing a foam mattress and a camp stove, with little cooking equipment. The Siskiyou County Sheriff’s Office said Thomas appeared to be in good health. She will undergo a forensic interview and as a crime victim, she will receive any care that she requires at this time. Cummins was taken by the SRT members without incident. He was transported to the Siskiyou County Jail in Yreka and booked on a Maury County, Tenn., fugitive arrest warrant for aggravated kidnapping. 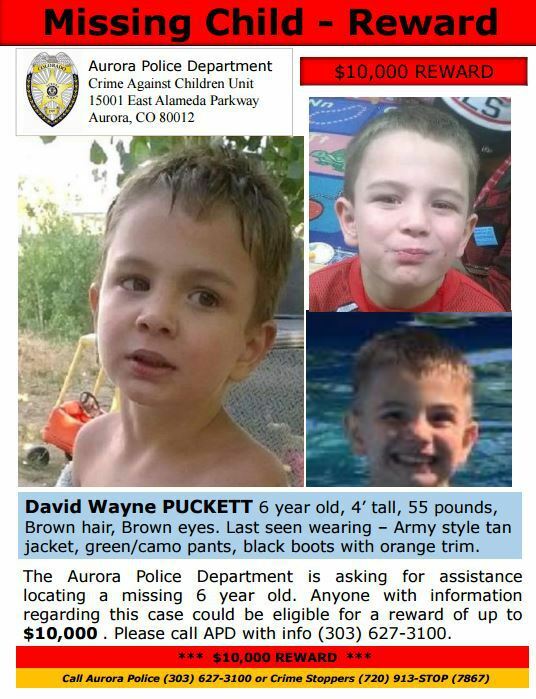 Cummins was set to be arraigned on Friday, April 21, 2017, at 10 a.m.
An AMBER ALERT has been issued for 6 year old David Wayne Puckett who has been missing since New Year’s eve, 12, 31, 6, in Aurora, Colorado. A $10,000 reward is now being offered for locating a 6-year-old missing Aurora boy. The Arapahoe County Search and Rescue, the National Center for Missing and Exploited Children, the Denver Police Department and the FBI are assisting in the search. David Puckett went missing on Saturday night near Olympic Park. More than 150 volunteers helped search for David on Sunday. He David was last seen at 5:30 p.m. Saturday in the 15700 block of East Amherst Place. He was last seen wearing camouflage pants, a black shirt, a thin tan coat, and black and orange boots, police said. He is described as 3-foot and 48 pounds, with light brown hair and brown eyes. Police said he has a slight to moderate learning disability. McCoy said police believe David wandered off. Three tip lines are set up for the case: 303-739-1865, 303-739-1868 and 303-739-1870. Metro Denver Crime Stoppers can also be contacted at 720-913-7867. UPDATE I: Body of child found in pond during search for missing Aurora boy. Aurora Police say the body of a child was found in a pond underneath the ice Tuesday during a search for a 6-year-old Aurora boy who has been missing since Saturday. The South Metro Fire dive team began searching the small pond in Olympic Park for David Puckett Tuesday morning. A K9 had picked up the boy’s scent in the area Monday night, according to Aurora Police Chief Nick Metz. Aurora Police had earlier said the search was just a precaution. 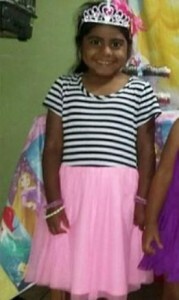 An AMBER Alert has been issued for 4 year old Rebecca Lewis from Lakeland, Florida who was taken from her home Saturday morning by 31-year-old West Hogs. Saturday, surveillance footage captured 4-year-old Rebecca Lewis and a man named West Wild Hogs filling up at a gas station in Forsythe, Georgia. West Wild Hogs is 5 feet 8 inches tall, 220 pounds, with red hair, and blue-green eyes. He has a scar on the left side of his head in the shape of the letter “L” and a tattoo of a blue cross and a Chinese symbol. Investigators are searching for a 4-year-old central Florida girl who they say was taken by a longtime family friend. The Polk County Sheriff’s Office says in a news release the pair was spotted at a gas station in Forsythe, Georgia, on Saturday evening. They were in a car with a stolen Alabama license plate. Investigators say 31-year-old West Hogs showed up at the family’s home Saturday morning and left with Rebecca Lewis. The girl’s 16-year-old sister says she saw Rebecca sleeping about 9 a.m. but when she woke up again 45 minutes later, the little girl was gone. Monday morning, WFTS-TV in Tampa received information that the two were spotted at a state park near the Tennessee-Kentucky border, headed north on Interstate 75. If you have any information on the whereabouts of either Rebecca Lewis or Wild West Hogs, please contact the Polk County Sheriff’s Office at 863-298-6200 or 911. 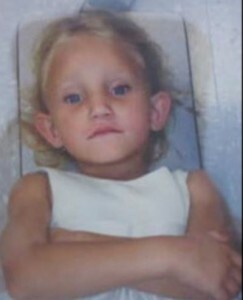 Rebecca Lewis is 3-feet-tall, weights 30 pounds, has blonde hair and blue eyes and was last seen wearing a pink dress. Officials believe she is with West Wild Hogs, a 5-foot-8, 31-year-old male who weighs 220 pounds and has red hair. You can recognize him by an “L” shaped scar on the left side of his head and a tattoo of a blue cross and another of a Chinese symbol. Police say Hogs is an old family friend and hadn’t seen Rebecca in years. Authorities say he took her Saturday morning. Hogs is facing kidnapping charges. Authorities believe the two are traveling in a 2012, silver Nissan Versa with an Alabama handicap tag number 4JL26. The vehicle has a magnetic animal rescue paw on the driver side portion of the trunk. A Lakeland girl and the family friend who authorities say kidnapped her were possibly spotted Sunday night in northeast Tennessee. A ranger at Cove Lake State Park in Campbell County, Tenn. reported seeing a man and child matching the descriptions of 4-year-old Rebecca Lewis and West Wild Hogs, according to the Polk County Sheriff’s Office. 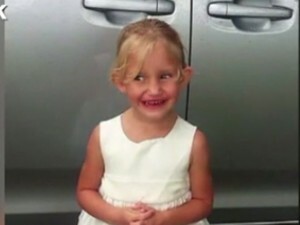 UPDATE III: 4 Year Old Rebecca Lewis Found Safe in Memphis, TN. A missing 4-year-old central Florida girl was recovered in Tennessee on Monday, and the man who took her is in custody, authorities said. Rebecca Lewis and West Wild Hogs, 31, were located in Memphis, the Tennessee Bureau of Investigation said on its Twitter page. Memphis police spokeswoman Karen Rudolph said police received a call from the Baptist Memorial Hospital-Memphis at 12:57 p.m. A security official at the hospital told police that an employee recognized the man and the girl mentioned in the Amber Alert out of Florida, Rudolph said. When police pulled up to the hospital, they saw the car mentioned in the Amber Alert pulling out of the parking garage, Rudolph said. Officers stopped the car in the parking lot and found the man and the girl inside. An AMBER ALERT has been issued Wednesday night, 9/14/16, for 6 year old Stefanny Lenneth Lopez-Castro in Wilmington, North Carolina. Stefanny was last seen at 5140 Carolina Beach Road in Wilmington, traveling southbound on Carolina Beach Road. Stefanny is a 6-year-old girl described as Anglo/Hispanic. She is approximately 4 feet tall and weighs 39 pounds. She has black hair and brown eyes. She was last seen wearing a white short-sleeve shirt, light-pink shorts with white polka dots, and black flip-flops. She has pierced ears with Cubic Zirconia earrings. Allegedly, there is one suspected abductor, whose identity is not known. However, he is described as possibly a white or Hispanic man seen wearing a black short-sleeve shirt with a dragon on it. He had long, black pants and boots. He was heard speaking English. He was wearing a black helmet and was last seen on a black moped. If you have any information regarding this abduction, call the New Hanover Sheriffs Office immediately at (910) 798-4260, (910) 465-1748 or call 911 or *HP.